Rushing Media provides a simple web solution that provides your business with a professionally built and hosted website with a designed themed header to fit your business. Your website is created specifically so the customers will find your business online with ease. We use Search Engine Optimization (SEO) to put your website in front of your existing and potential customers. Better Search Results = Greater Visibility = More Customers. 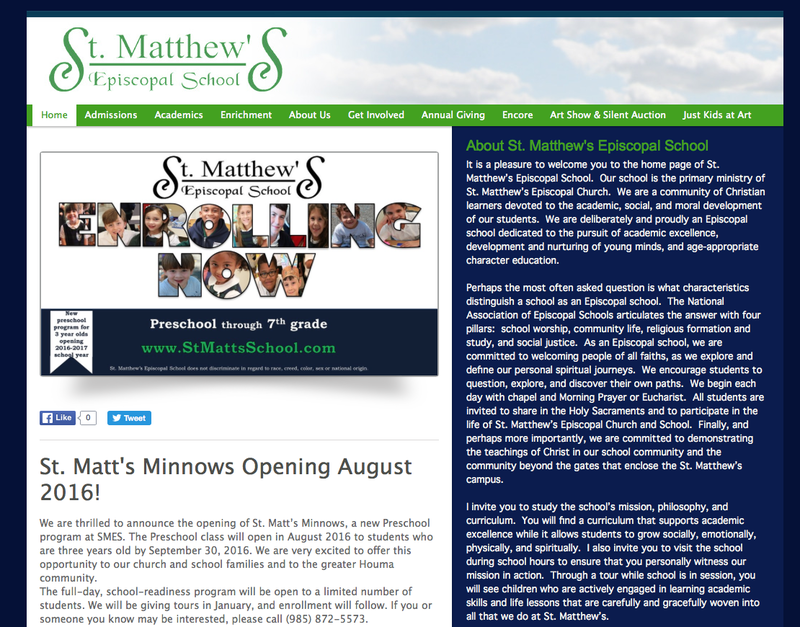 This 10-page website provides future and current students and parents information about a local elementary school. 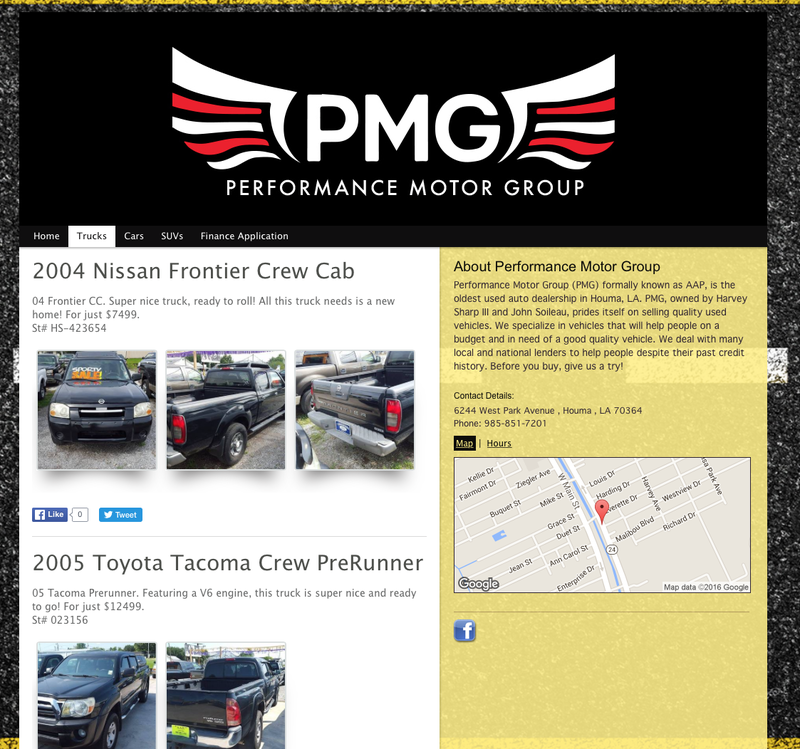 Designed efficiently with only 5 pages, the owner uses the gallery posts then the social share buttons to update inventory both on his website and on his Facebook. 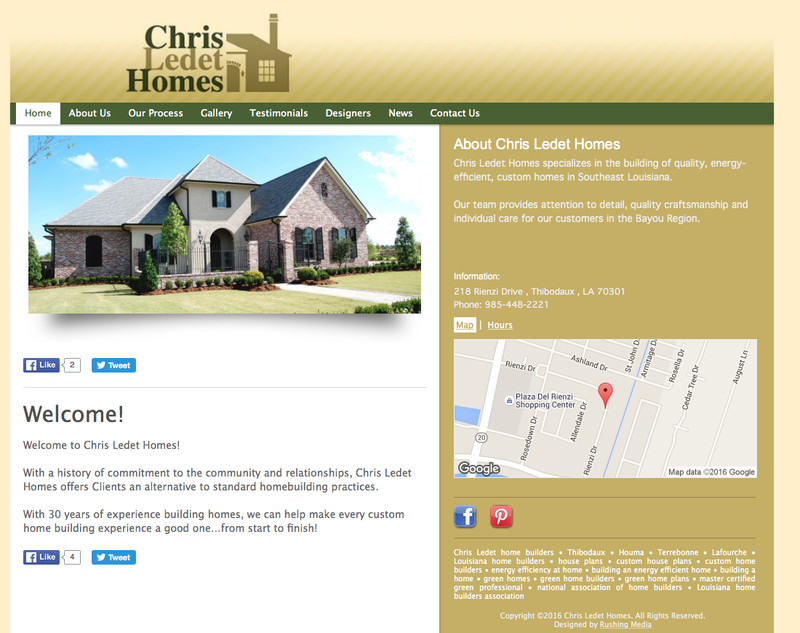 This 8-page website offers future customers information about a company that specializes in the building of quality, energy-efficient, custom homes in Southeast Louisiana. 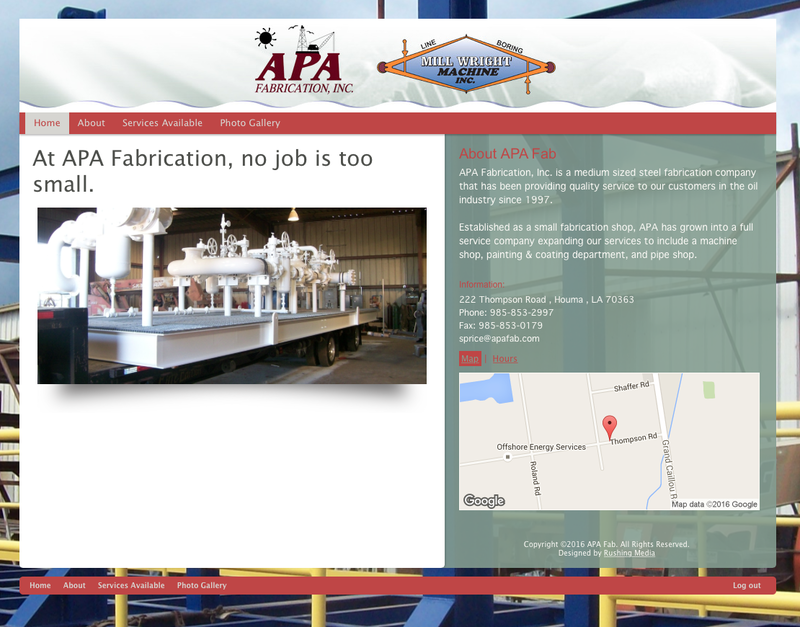 This efficient web design features 4 pages featuring services offered for an industrial fabrication company. 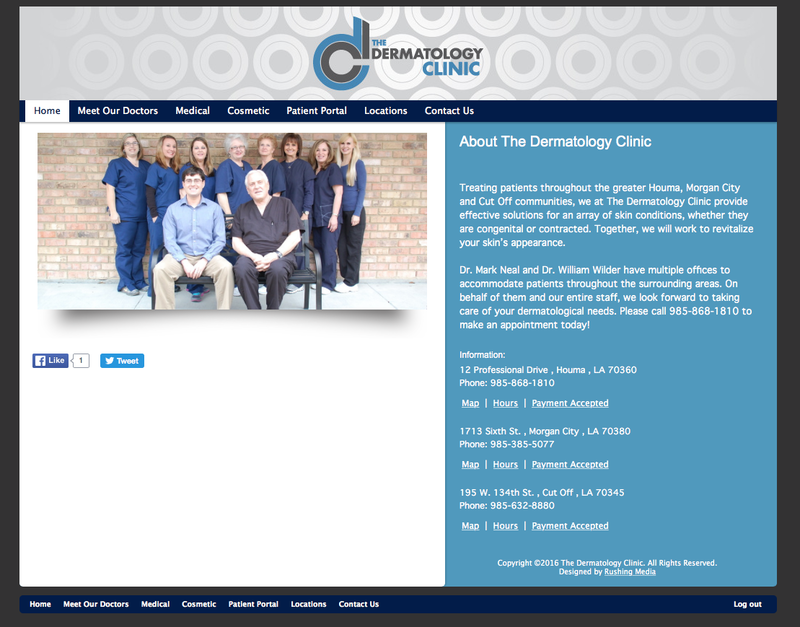 A 7-page medical website that provides information about the clinic, doctors and procedures offered.